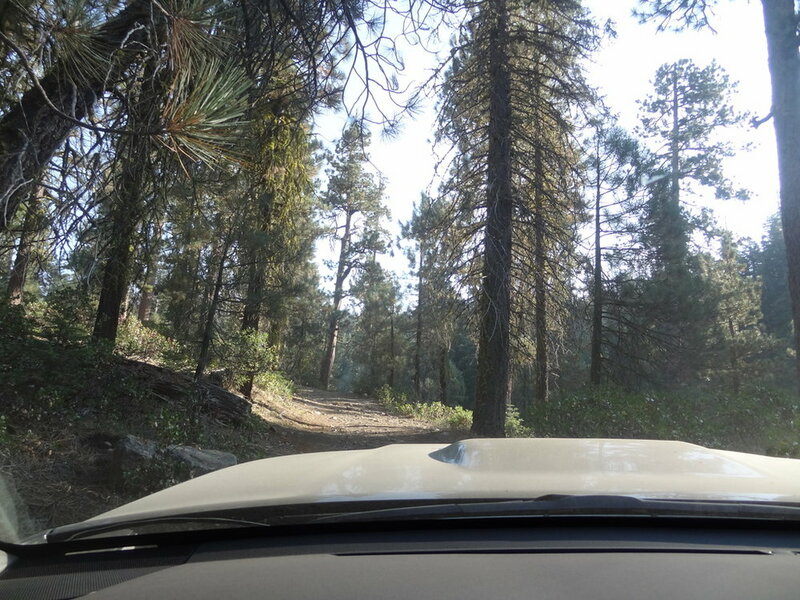 I took a re-visit to Bald Mountain OHV. If you remember, I went there last winter for the first annual Crawl-to-the-Top snow trip that ultimately ended in a big, old fashioned cluster. 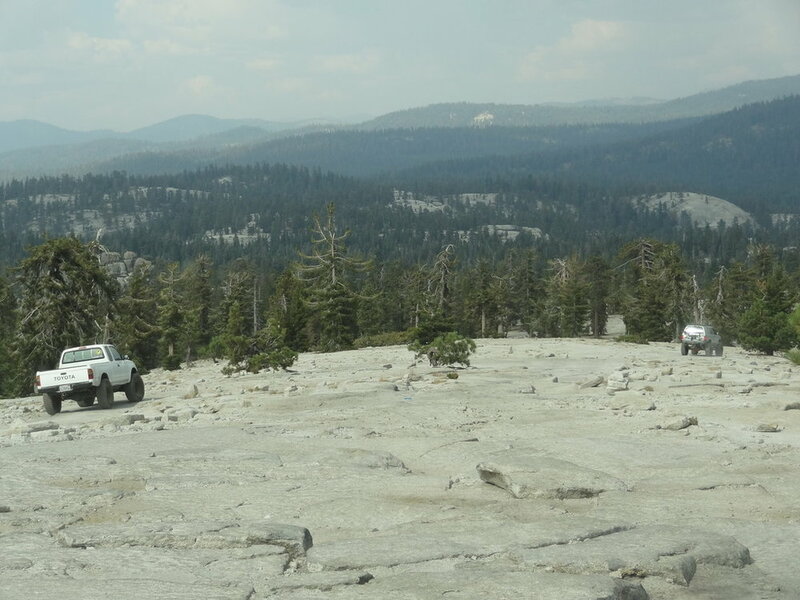 It was probably a good thing that we never made it to the trailhead that day, but I have been wanting to head back since. Vincent and I hatched a plan to head to the mountains, and make a day of it. I invited Wes, and a buddy from college, Cam, who invited his friend Kayden. We left the Bay Area early, itching to get higher in elevation. Wes and I would make it an overnight trip but for the others, it was a day trip, so time was precious. I met Vincent at 5am and we hit the road, meeting the others in Gilroy at 6am. A quick introduction, Vincent’s second cup of coffee, and a stretch; we were on the road, East bound! Because half of California is on fire, the sunrise was a deep red color as it rose over the horizon when we came over Pacheco Pass. Around 9am, we made it to the trailhead and after a quick air down and run around with the dog we hit the trail for a quick warm up on a nearby granite slab before starting up Bald Mountain. We opted to take the “North Route” up the hill as we had heard that it was the more challenging direction, and after reaching the summit we would return on the “South Route”. That being said, none of us had been to the area before, so there was a certain amount of error expected when we set off. And about 5 minutes into the journey, we realized we had started down the South Route, and had to back-track to the beginning of the North Route. Cameron was really excited to get out in his Tacoma. 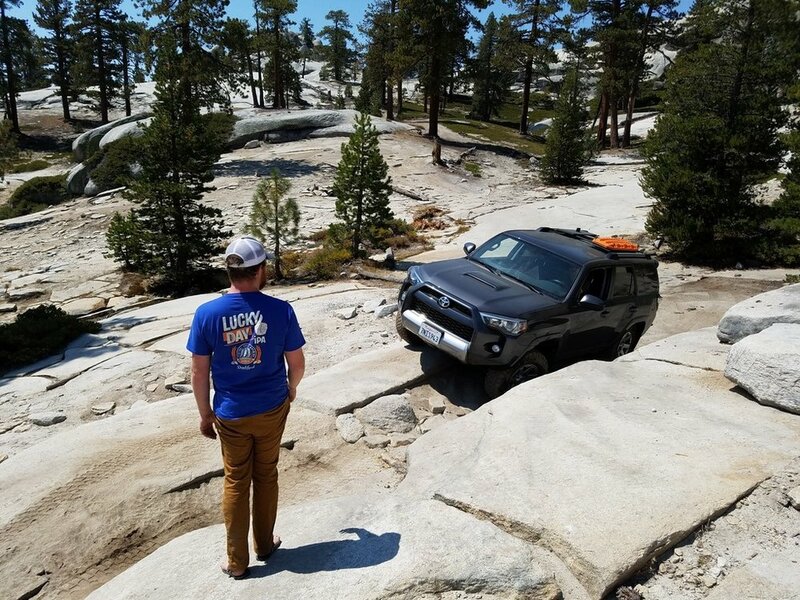 This would be it’s maiden off-road voyage with him, although he has had plenty of Toyota off-road experience before this having owned a few late 80’s 4Runners prior to the Tacoma. This was a fun section of trail that was quite technical. Vincent, naturally, walked over it without a spotter (likely in 2wd, because he can) and then came back to spot the rest of us that were more gravity challenged. I learned what I can’t do, well, at least not now. 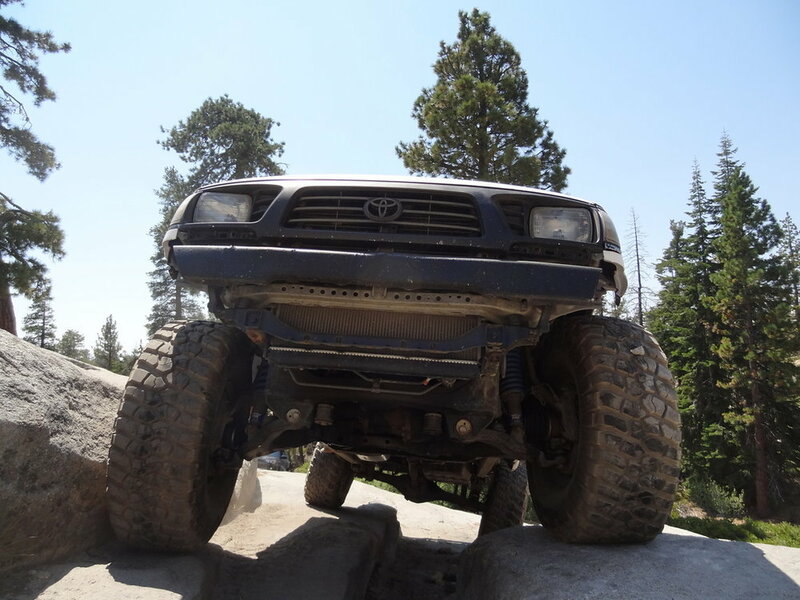 So, for the first time, the 4Runner needed the winch. Thanks to Vincent, it was a quick pull and I was over the top with only some mangled plastic on the rear bumper, a munched tail pipe, and a big smile to show for it. I didn’t make it over the obstacle, but then again I didn’t really expect to. 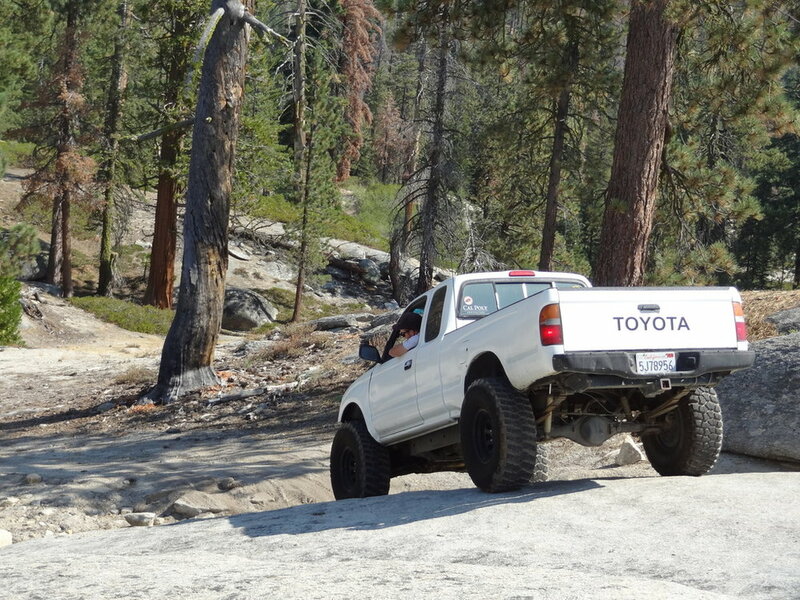 Considering the only off-road upgrades done to the 4Runner at this point are tires and some sweet sliders. Not dissapointed. Moving closer to the top, there was an obstacle that only Vincent could attempt, and he needed multiple attempts. But ultimately he made it over with a little “Skinny pedal, skinny pedal”. I did NOT attempt this line, because we just went over what happens when Max follows Vincent up rock faces. 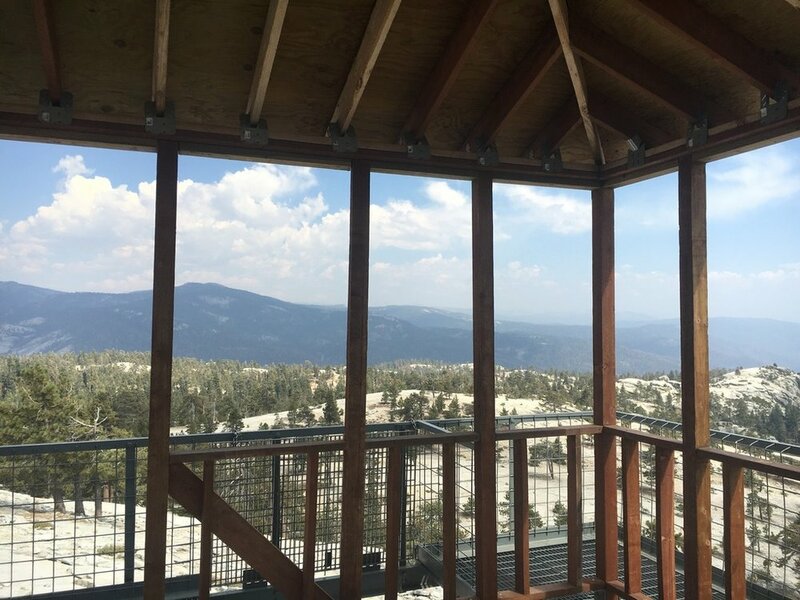 Finally, we reached the top, and the lookout tower. Time to head back down. We moved a bit quicker on the downhill, so there are a few less photos to share, but when I come back, I think I’ll run it reverse to keep it fun! We reached the bottom of the hill, the rest of the gang aired up, we said some goodbyes, and they hit the road. 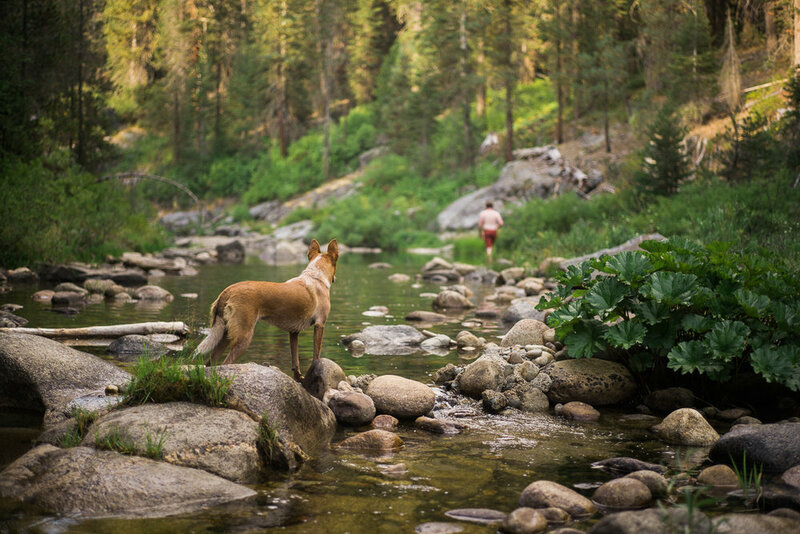 Wes and I turned around and made our way towards Dinkey Creek for a campsite, and HOPEFULLY a swim in the creek. 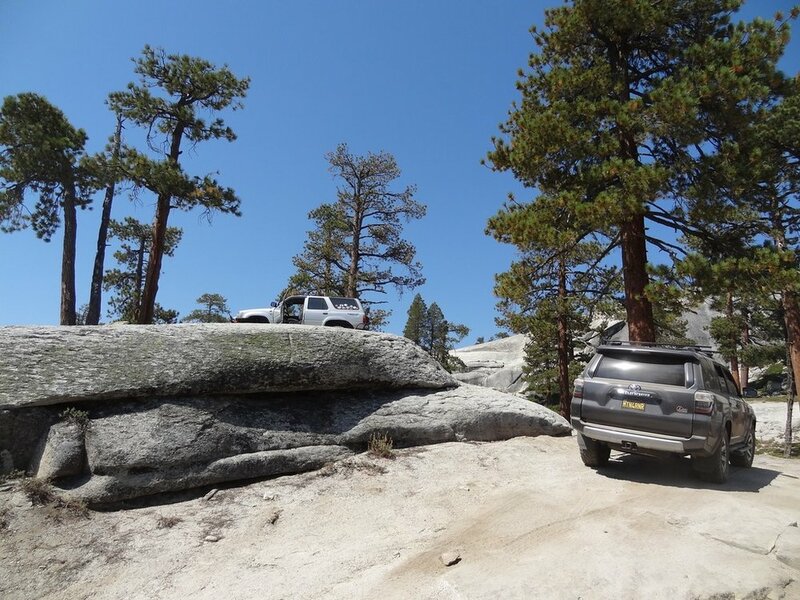 Side note: I finally got to sleep flat in the 4Runner thanks to the 4Runner Platform I designed and built (more on that in a day or so) and holy crap. Game changer. 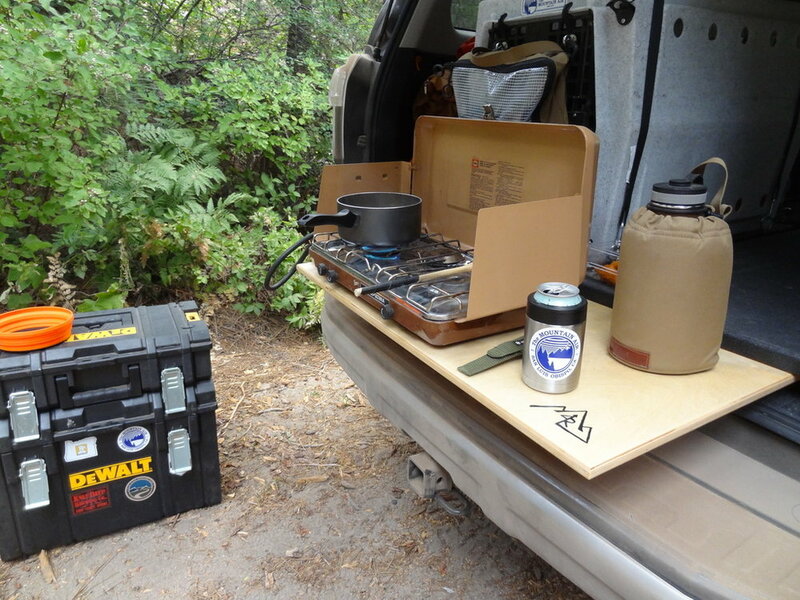 In the morning, it was a quick cup of coffee for me and a sleeping zone tear down before hitting the short trail to the pavement. After some air, we hit the road where Wes would take a different route than I was planning. So after leaving the (half dead) pine trees behind, we said goodbye and headed our separate ways.